2 weeks of training done at the Eagle terminals – covers pretrip, backing maneuvers and driving. After 2 weeks of training you complete your actual CDL test and this is when we would officially hire you on and your time OTR begins. Call our recruiting department for additional information And apply! 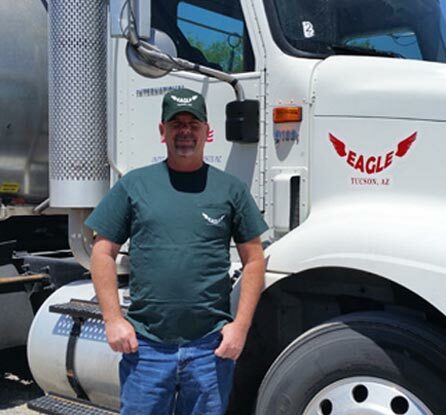 By Joining the Eagle Family you can enjoy a truly driver friendly atmosphere, with steady miles, competitive pay, and low health care costs! Join The Eagle Family Today! Copyright © 2017 Eagle KMC Transportation.